Josh Churlik is one of the original co-founders of the largest entrepreneurial event in the world. Josh Churlik came to Denver in 2004 to get his MBA and build something great. He knew he’d love Denver, and he knew CU Denver Business School was the place to get his MBA. 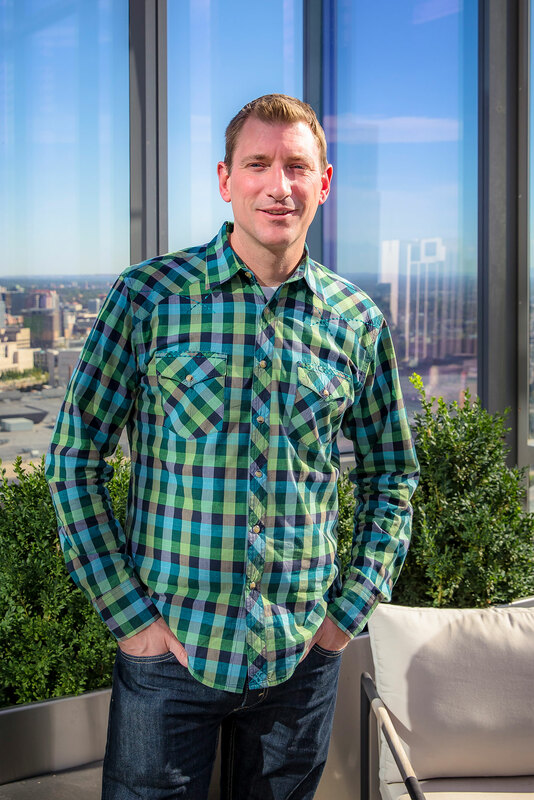 Fourteen years later, he’s leading his sixth company, and helped fuel the Denver tech and startup communities into the powerhouses they are today. When he completed his undergraduate studies, Churlik knew his passion was entrepreneurship, and that he still needed to add more skills and experience to his toolkit. A perfect way to get all of those skills and experience in one place was by getting his MBA. He said deciding between schools was easy, because of the Business School’s location in the heart of downtown Denver. “CU Denver Business School was the only school I applied to. I wanted an MBA and I wanted to live in Denver,” he said. The entire time he was in school, Churlik remained focused on learning the skills for building a good business first, so he could have the skills to properly execute his vision later. Churlik knew that being a student would be the perfect platform to network as a new kid in the city. He took full advantage of being a CU Denver student to make lasting connections. Churlik chose the Professional MBA program specifically to collect the skills he’d inevitably need to build and run a business. He took classes at the Jake Jabs Center for Entrepreneurship, a center at the Business School dedicated to helping budding entrepreneurs turn their ideas into profitable businesses. Churlik co-founded Denver Founders over a decade ago because he wanted to share how great special Denver’s tech startup ecosystem is. 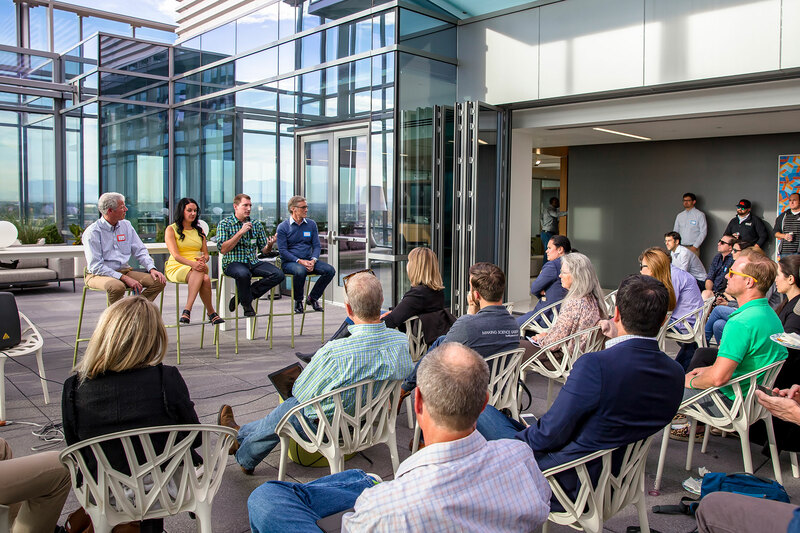 Starting with five people and growing to one of the largest startup meetups in Colorado, Churlik said they had a bit of a magic formula. “We knew in order to get people to come, we had to provide interesting educational content, but also make it really fun. Getting those two things right is what we did well,” he said. Their success is undeniable. Last year over 17,500 participants attended its 350 sessions, solidifying DSW as the largest free entrepreneurial event in the world. Beyond his community involvement in bringing entrepreneurship to life in Denver, Churlik continued down his own entrepreneurial path. In 2014, Churlik co-founded his sixth company, Well Data Labs, which brings modern technology to the oil-field by structuring big data in a way that it can be easily consumed, analyzed, and reported. Churlik took a relentless approach to getting honest, expert feedback while developing his products for his company, meeting with 150-200 connections over a year and a half. Because of his research, he knew exactly what the industry needed and what it was willing to pay for. Now the company has 22 employees and expects to grow to 30 by end of this year and 60 by the end of next year. “I’m doing what I spent my entire career learning to do: founding and building a high-growth company. I absolutely love it, even if it’s the most challenging thing I have ever done,” he said. He believes that the next level is going to be exciting with Gusto, Slack, Amazon, Google, Facebook and more setting up shop in Denver. 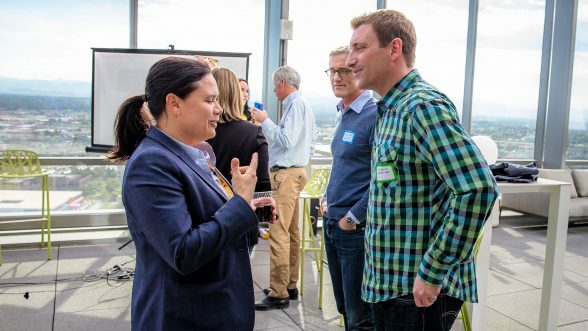 But he has one question that lingers in the back of his mind: How do we keep who we are in Colorado while adding all these wonderful people to the community? He believes staying connected is the key. The Business School Alumni Network is proud to include Churlik in its ranks. A community of over 25,000, our alumni are making waves wherever they go. Learn more about our Business School Alumni Network and how you can get involved.